Today we saw an article in the Guardian that interested us at Arc Window Films, especially as our services and vision are dedicated to providing a warmer and more ecologically friendly way to insulate your home or commercial property. The article in question is around the issue of a draughty home and more specifically the world of rented properties. 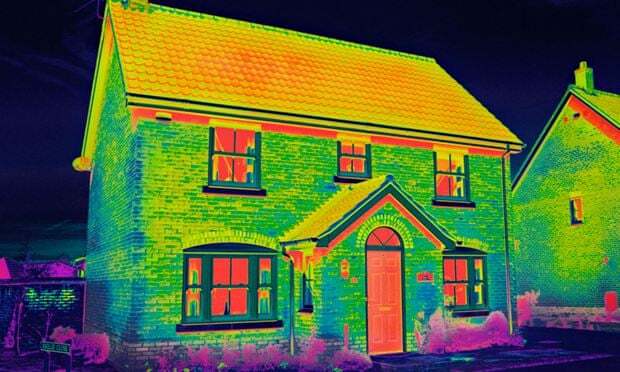 Surprisingly we learn that those who live within a rented property may be paying around £1,000 per year more than those who own their home in energy bills due to the house itself being poorly insulated. This is a rather shocking statistic, especially in the day and age when insulating your home is not always an expensive or difficult thing to put in place. However this article is showing that for those who are currently living in the breeze there is a warming light at the end of their tunnel. It comes in the form of a new regulation that will mean landlords of properties that fall within the lower energy efficiency bandings of F and G will be responsible for improving these bandings to E by April 2018. This may not seem that big a deal, but when you look at the statistics it is though that around 10% of properties that are currently being privately rented are falling below the E rating and will need to improve their own efficiency. On some of our previous blogs we have explored different ways that you can insulate your home and trap some of the warmth within it and it is likely that landlords who are affected by this particular ruling will be looking for the best (and of course most cost effective way) or making these changes to their properties. This will more than likely be a welcome improvement to those who are struggling with the decisions between living in a colder home and paying out a higher energy bill during those winter months. With this in mind, whether you are a landlord who is looking to make these changes before 2018 or a tenant who knows that a change could be on the horizon then perhaps it is a good idea to take the time and understand the options open to you. Perhaps one avenue that you could discover more about is window films. This simple yet incredibly effective tools, just like the films we offer here at Arc Window Films are not only known to improve your energy efficiency but can also protect your belongings against sun damage and limit the amount of harmful UV rays that penetrate through your windows. Why not get in touch with us at sales@arcwf.com or by visiting www.arcwindowfilms.com and learn more about what we can offer you to help warm your home and also save you some money in the long run!